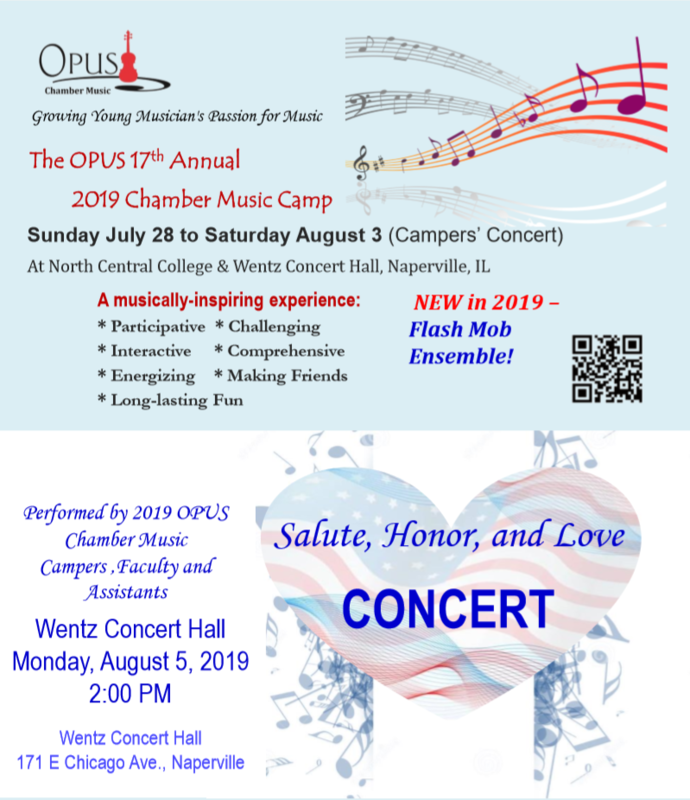 Sign up for our Chamber Music Camp and Concerts! Click here for more information. Please come to a special Chamber Music Concert by Drs. 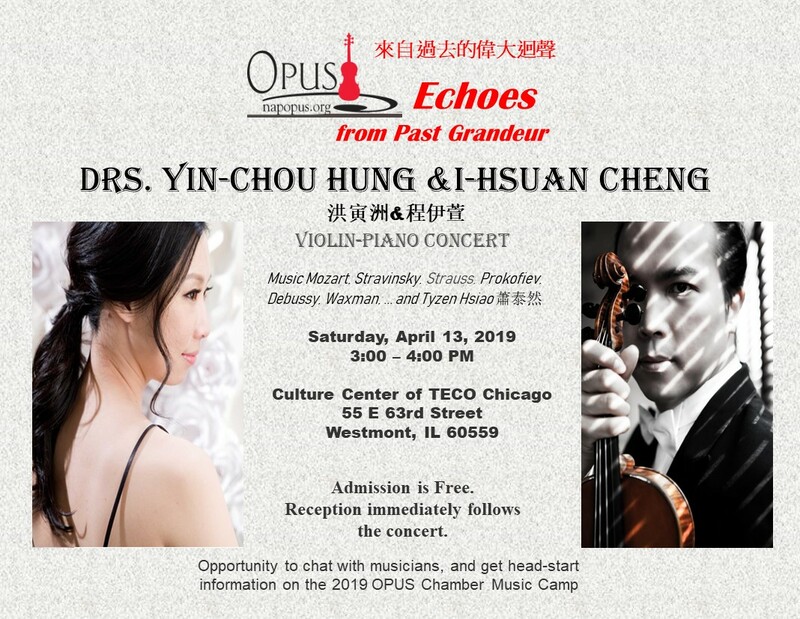 Hung, violin and I-Hsuan Cheng, piano on April 13, 2019 to chat with OPUS (click here).